What Is Your Patent Strategy? How then do you as a founder, develop a patent strategy that achieves the goals of building a strong patent portfolio and thereby, enhancing corporate value? A patent search and patentability opinion will give you greater confidence about applying for one or more patents. However, when building a patent portfolio, it is important to strategically consider which innovations should be patented in order to increase the value of the corporation. This evaluation process involves determining where your patents/innovations stand vis-a-vie your competition. An important strategic step that is often overlooked when building a patent portfolio is to commission a competitive landscape search. It is very important to assess the risk that may exist from patents held by competitors and to know where your market maneuverability lies. A competitive landscape search identifies all patents assigned to each competitor and to all officers of each competitor, resulting in a targeted list of all patents needing further evaluation against your patent portfolio. The claims as well as the specification or description of invention of each discovered patent or patent application must then be analyzed for any issues of infringement to your existing patents. The patent prosecution time frame can be a long one, especially for those innovations that rely on software or compositions of matter. For this reason, a strong patent strategy will include innovations that may be completed and/or improvements that will be made within the next 12 to 18 months. By knowing the competitive landscape of existing patents and the direction the company wishes to take in developing their innovative products, the technical and management team of a company can avoid known market issues and pursue patent applications resulting in the strongest asset protection possible. 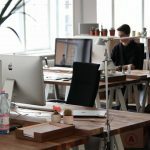 Although no one can guarantee that any given patent application will be successfully prosecuted to an issued patent, doing your research in advance and filing applications in accordance with a sound patent strategy provides the best assurance that those patents granted will be strongly enforceable. Questions? Shoot us an email or give us a call at (919) 307-5356. Your first call is on us. https://fourscorelaw.com/wp-content/uploads/2017/08/patents-e1504121054372.jpeg 334 500 FSL_wpUserDCD3 https://fourscorelaw.com/wp-content/uploads/2019/01/logos-02.png FSL_wpUserDCD32017-08-30 15:28:442017-08-30 15:28:44The impact of a patent strategy...Do you have one?